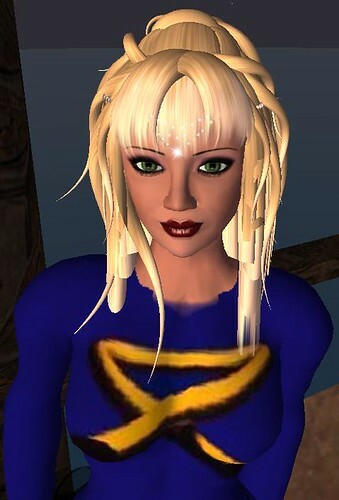 Members of the Mike Oldfield Forums have known about the tubular.net presence in Second Life for quite awhile. This message especially goes out to everyone else, including the 10,000+ Tubular.net fans on FaceBook. Tubular.net has started to host weekly meet-ups on Saturdays from 12-1 PM PST/8-9PM GMT. The locations of the meet-ups may move around inworld, but for now we're at Vigdorova 151,75,93. To reach the sky house, use the teleporter near the stones: click on the spinning ...lavendar disc; or, IM Morrighan Heron for a TP. To join the Tubular.net SL group and receive future announcements, search under Groups for tubular.net or Mike Oldfield. I've not played WoW, so am not quite sure of the differences in functionality. Purpose-wise, there are games in SL, but it's primarily a multi-user virtual, perpetual environment, imagined and created by the residents. It uses the Linden Lab platform/backbone and scripting language. There is much music and many events. Art, museums, but also Roma, medieval, and vampire sims. Colleges are increasingly using it for distance learning, and I initially ended up there with my former library system to investigate libraries in virtual worlds. Three years later, I am still involved as a volunteer with one of their original projects, but tend to spend a certain amount of time hanging out elsewhere.